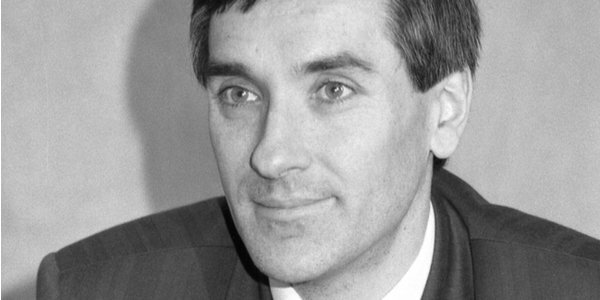 WE HAVE featured a number of Sir John Redwood’s first-rate Brexit articles in these pages in recent weeks, as well as our readers’ appreciation of him in their comments. More used to vilification over the years, which the Guardian has not been backward in publishing even when he received a well-deserved knighthood, he is not just one of Britain’s most principled MPs. He is also one of the brainiest. That’s what the Left can’t forgive – his intellect, logic and measured command of an argument. Nor has it faltered on Brexit, even as his colleagues have fallen by the wayside. Yesterday on BBC Radio 4’s Today programme, his cool dismembering of the ‘deal that is not’ left Martha Kearney indisputably the loser. Martha Kearney asked if his colleagues’ reasons for deciding now to support the WA had influenced him. · The manifesto is very clear that No Deal is better than a bad deal and this is a very bad deal. · and the Conservative Manifesto clearly said we would be leaving the Single Market and the Customs Union. It doesn’t say that Northern Ireland would be staying in them. MK: But it sounds as if that even if May managed to resolve the backstop agreement there’re many other reasons why you and presumably some colleagues would vote against the Agreement as well. JR: Well indeed, I think quite a number share my overall concerns that we don’t need this kind of binding treaty putting us back under the European Court of Justice. It is the very opposite of leave. So this isn’t a leave agreement, it’s a delay and stay in agreement. · the Prime Minister’s deal has achieved the impossible by uniting a lot of a remain and leave voters. His final advice to the PM? It is, to say to the EU, at the Conference this week, that we are going to be leaving on March 29th in accordance with her oft-repeated mantra over the last two years, that we would like a free trade agreement – we think it is massively in the interests of both sides, and if they would just agree to talks on a free trade agreement, then of course we needn’t impose barriers on each other under GATT rules and we would have time then to sort out the free trade once we had left. Every retort Martha came back with, he effectively kiboshed. No wonder the BBC invites him on so rarely.